A hole has been torn into the magic weave over the mountain of Skundr. Gluttonous spirits pour through the hole, seeking to devour all things intangible – sounds, light, wind or even dreams. Attempting to fix these holes is complicated and complex. The few Patchers of this world with training and knowledge necessary to close the hole and guide the spirits back to the weave are highly sought after. We follow Raka, an experienced Patcher, as she travels across the Skundr in her attempt to fix the so called tangleweave. Bound to her side in mutual grudge is Malaki, a hermit Runemaster from the mountain, as well as Lyn, the groups only human and peacekeeper, who has unusual abilities to sense the spirits before they escape the weave. With spirit-behaviour becoming more than any experienced Patcher can handle, these three must learn to work together to mend the tangleweave – or risk further widening the hole with their own internal conflicts. 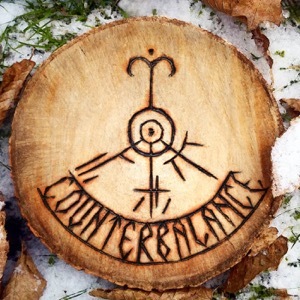 Counterbalance is an unreleased, immersive audio-drama series written by Kessi Riliniki.